The newest collection from L'ovedbaby, Babe in the City, is perfect for your little tyke. 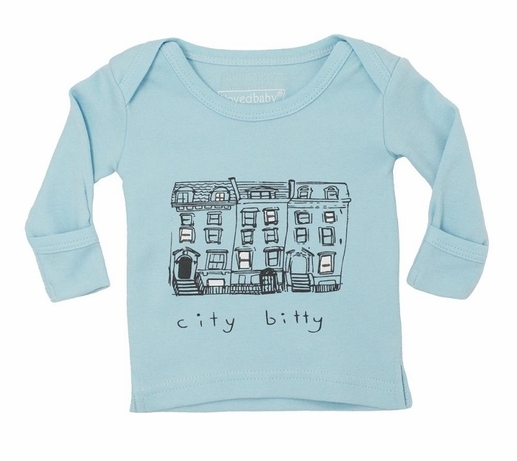 This soft, organic top features a city scape and says 'City Bitty' on the front. Shoulders have a lap feature for easy on and off. Pair with our leggings for a complete outfit, sold separately. Made of 100% organic cotton by L'ovedbaby.